Think about the loss of a loved one in your life…now think about the impact that person made on you. Think of their impact on others around them. When a law enforcement officer is killed in the line of duty not only is his/her loss felt by the profession but by more importantly, by their families. 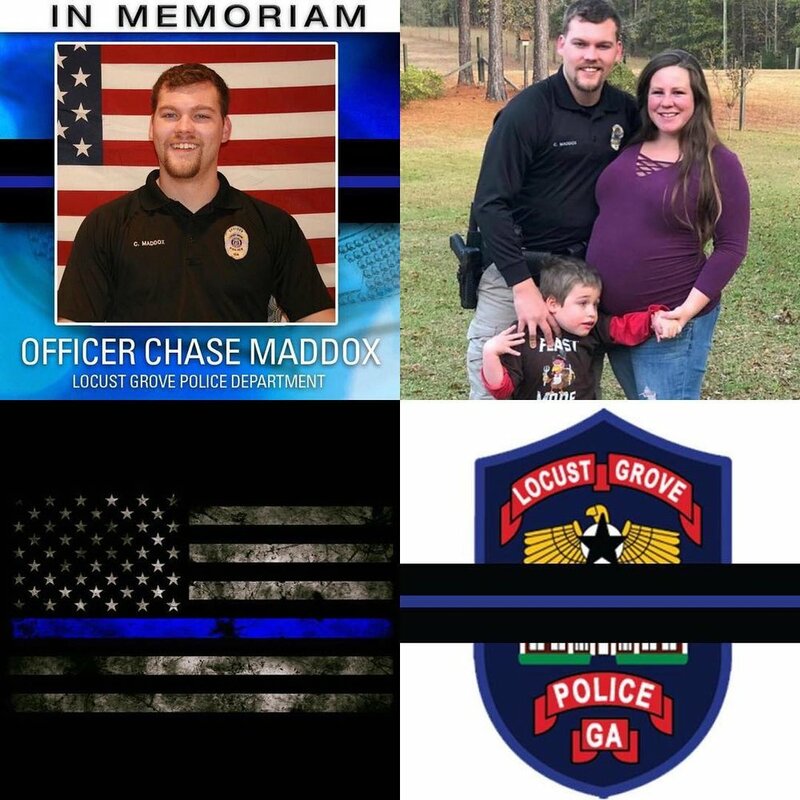 Sadly some officers had young families with young children…Locust Grove Police Officer Chase Maddox was murdered during the service of a warrant. His youngest son, Bodie, was born four days after he was killed. Bodie and his older brother, Bradin, will now grow up without their dad. Their mom and Chase’s widow, Alex, must pick up the pieces and raise their sons. We had the honor of meeting Alex, Bradin and Bodie and the rest of the family during our stop in Locust Grove and it was truly humbling. The gravity set in and each of us felt the heaviness. 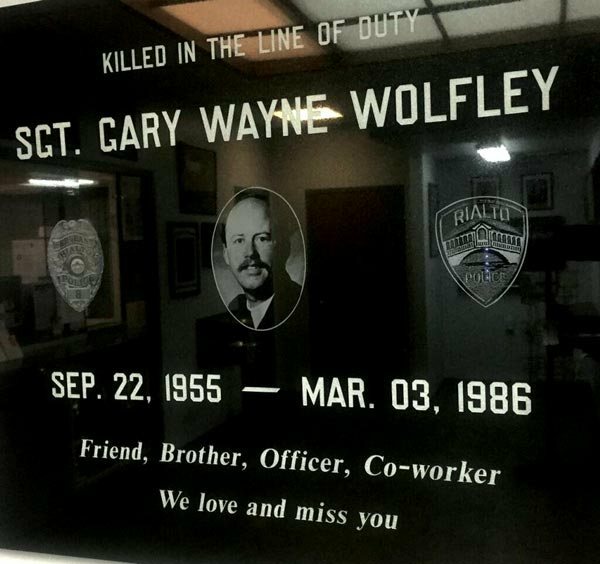 Rialto Police Sergeant Gary Wolfley was murdered in the line of duty March 3, 1986…he is survived by his wife, son, brother, sisters and mom and dad. He is the uncle of Cannonball Memorial Run Corporate Secretary Mark Durmisevich. Mark and his family do not get to talk to or see Gary. They are left to celebrate holidays without him. There is a whole in their hearts. Gary will never know his three beautiful nieces or see the man that his son Christopher has become. Families are left behind when an officer is killed in the line of duty and their pain is no different than the loss of a loved one for everyone else. The difference is that an officer may have been targeted and murdered leaving more despair. Families are devastated and wives and husbands are left alone and children are lost without their parents. In this time of tragedy the last thing they need to worry about is how to pay bills or buy groceries in the immediate days following such a tremendous loss. Survivor benefits and death benefits don’t start right away. This is where we step in. We have established the National Immediate Relief Fund to provide immediate financial assistance to the families of All officers killed in the line of duty within 24-48 hours.